Wild Bergamot (Monarda fistulosa), Brown Eyed Susans (Rudbeckia fulgida), and a variety of other native plants make for a midsummer riot of color. For many of us, when we picture 'wildflowers' at all, we often picture a meadow. In our minds' eye, it's awash with color, purple flowers mixing with orange and white and gold, green grasses mixing with copper ones, and the occasional weathered bluebird house poking up above the melee. It's no wonder that so many people want to plant meadows! Here at Toadshade, one of our favorite things to do is watch our meadow as it changes from season to season and year to year. But there's more to any meadow than simply its aesthetic appeal, and as always, what you plant will influence what you see. 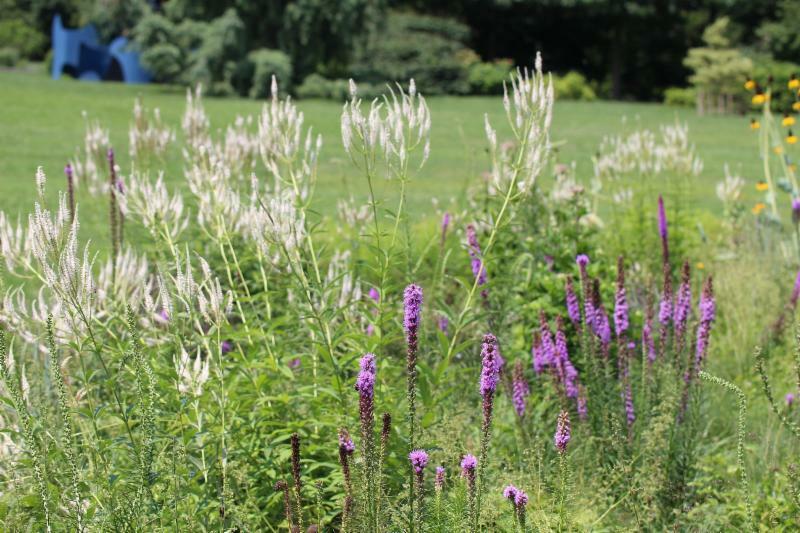 Culver's Root (Veronicastrum virginicum) and Dense Blazing Star (Liatris spicata) blooming together in a small meadow garden. A meadow planting can be large or small - don't let the image of rolling hills filled with flowers discourage you. Sure, Longwood gardens has a full 86 acres dedicated to their meadow space, but you don't need an estate to have your own meadow. You can create smaller meadows and support wildlife in whatever space you have. You can grow mini-meadows in your yard, and even simply create a diverse planting next to your house or picket fence - in many ways, a 'cottage' garden planted with native plants looks and functions much like a tiny meadow. 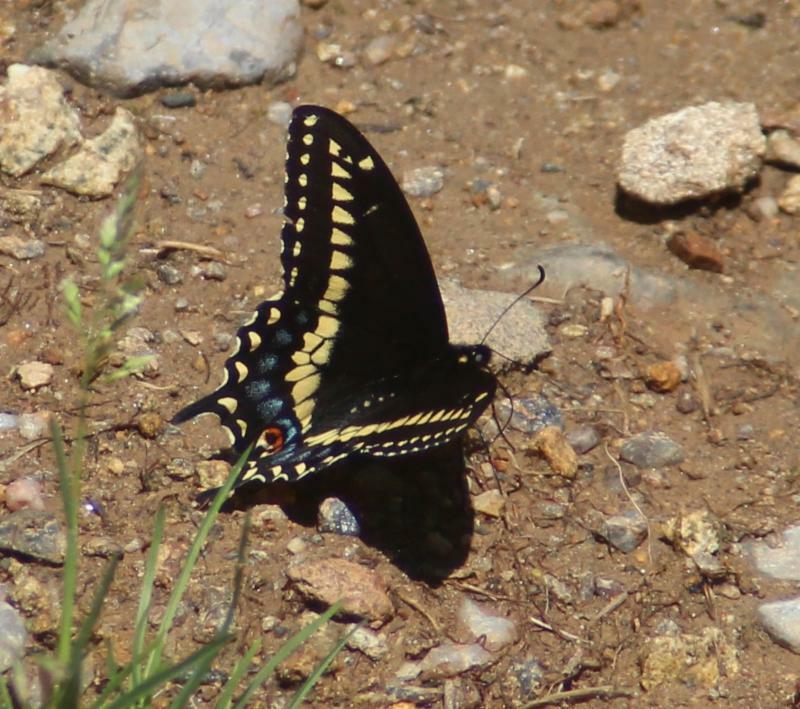 A territorial male Black Swallowtail (Papilio polyxenes) displaying puddling behavior. Wildlife abounds in meadows. Wrens will use any tangle of fallen branches to build a nest. Rabbits will use the dense cover as shelter from hawks, turtles and salamanders will meander through the lowest levels of greenery, and even hummingbirds will hunt for tiny insects above the fray (yes - hummingbirds eat very small insects - they do not live on nectar alone!). A vast array of insects rely on meadows as well: every year at Toadshade we see territorial butterflies competing for space over our meadow, and dragonflies & damselflies cut intricate dances in the air. Grey Treefrogs sing from the trees around the field whenever it rains, and frankly, the show fireflies put on for us in early summer each year is breathtaking. 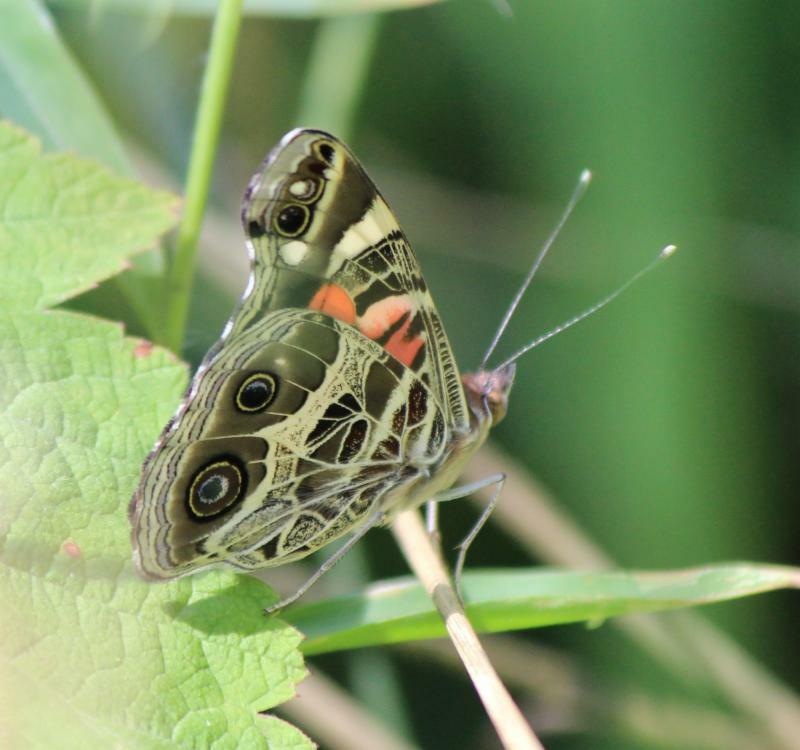 It's almost impossible to account for the number and variety of butterflies, moths, caterpillars, native bees, and insects of all kinds that interact together to create this vibrant ecosystem. But how do you encourage the wildlife diversity that will make your meadow come to life?. When you plan any garden (including meadows!) it's important to keep in mind bloom times, to support pollinators all season long. 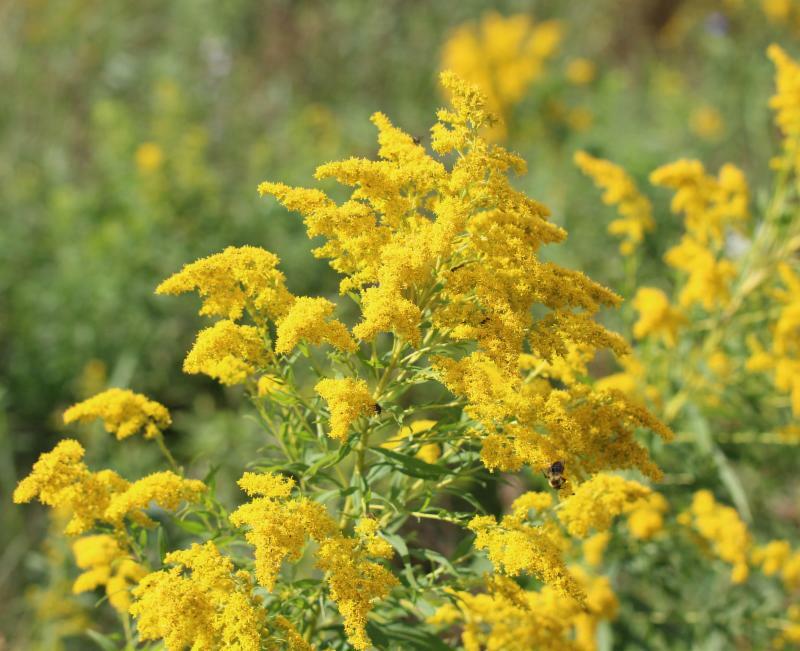 Species like this Late Goldenrod (Solidago altissima) bloom later than most, and provide critical support for pollinators late in the season. As with any garden, it's mostly a matter of knowing what your conditions are. If you live in Arizona, for example, you will not have a great deal of luck planting species whose range only extends south as far as Connecticut. If you live in Maine, species whose range only extends north to southern Delaware may not have a great deal of success surviving the winter in your garden. The wonderful thing about native plants is that there are plants for every possible combination of conditions: dry or wet, sand or clay, shade or sun, salt or acid, even rocky outcrops. Look to plants that are native to your area, because they will have evolved to thrive and support wildlife where you live! If you plan your meadow around these plants, you will be amazed to see what creatures native to your area start to make use of your meadow. Our meadow has been growing for almost 25 years now, and every year we are rewarded with something new or different. Just this year, we have started seeing a new kind of damselfly hunting over our meadow! On windy days, butterflies like this American Painted Lady (Vanessa virginiensis) will often take shelter deep in meadows rather than wasting energy flying against the wind. Why Are Meadows Important, Though? Due to the numbers of non-native plantings used widely throughout North America, many native specialist species (that is, species who rely on a specific sort of plant, like Monarch Butterflies depend upon Milkweeds) have begun to struggle to find sufficient habitat space. Monarchs are the most famous example, but they are far from alone in their dilemma. Evening Primrose Bees (Lasioglossum oenotherae) rely on Evening Primroses (Oenothera sp. ), most Fritillary butterflies rely on Violets (Viola sp. ), and the American Painted Lady Butterfly (Vanessa virginiensis) must have Sweet Everlasting (Pseudognaphalium obtusifolium) or Pussytoes (Antennaria sp.) to raise their caterpillars - to name just a few examples. 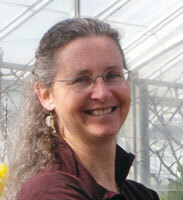 They all rely on finding sufficient host plants to sustain their species. If you have ever played Jenga, you have a good visual representation of how an ecosystem works: plants are the base level, and they support insects, which support birds, and so forth up the chain. When the base level is not filled (or filled with foreign plants that insects cannot use as host plants), the whole structure is unstable. Meadows help to fill this deficiency by not only providing a space for many native plants to grow, but also by providing habitat space for the rest of the ecosystem to thrive in. As I am fond of saying in lectures, it's difficult for specialists to locate a single plant. If you put a few plants in a meadow however, providing a rich habitat where those plants can set seed, spread and truly become a presence in the ecosystem, you will support not only the natural beauty of the area, but also the important ecosystem balance that makes that beauty possible and sustainable. What you plant will determine who, if anyone, lives in your meadow or garden. 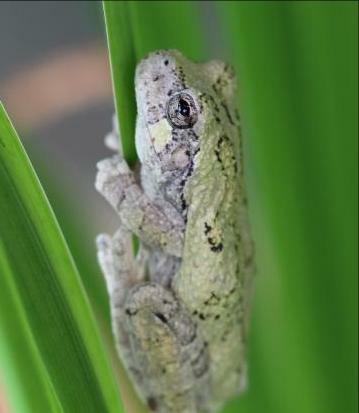 There are a staggering variety of organisms that can make up the food chain in and around a meadow, like this Grey Tree Frog (Hyla versicolor). So How Do I Start A Meadow? Do your research! Once you know what species are best suited to your area, there are a few ways you can get started. The first is to let an area grow for a season, just to see what is already growing there - you may find some lovely surprises. When we first let our meadow grow, we found more than a dozen wonderful native species that had been surviving (mowed!) for quite some time under the previous owner. Even in the case that your area is truly entirely weeds, letting it grow first will allow you to know that for sure; no need to accidentally eradicate good species, only to purchase and plant more of that same species! 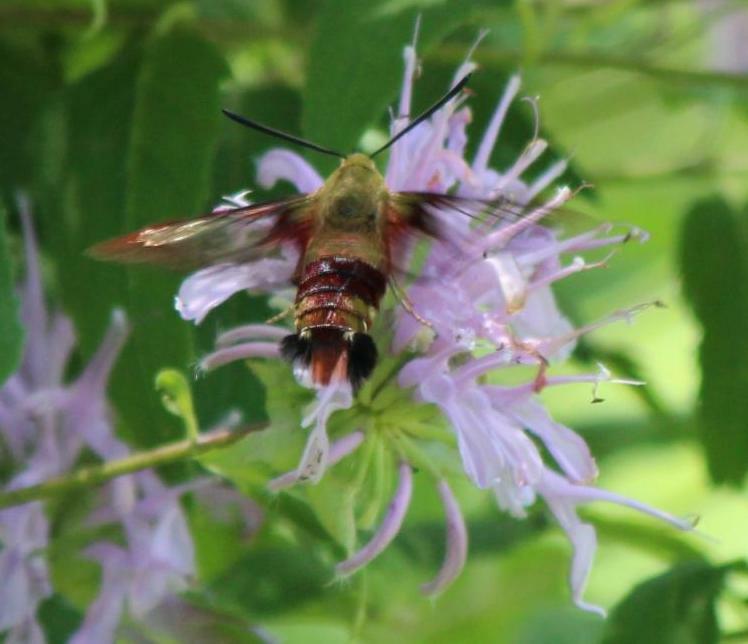 Every summer, we see a variety of lively pollinators like this Hummingbird Clearwing moth (Hemaris thysbe) visiting the pockets of Wild Bergamot (Monarda fistulosa) in our meadow. For your next step, there are a couple of different things you can do to add species to your meadow. 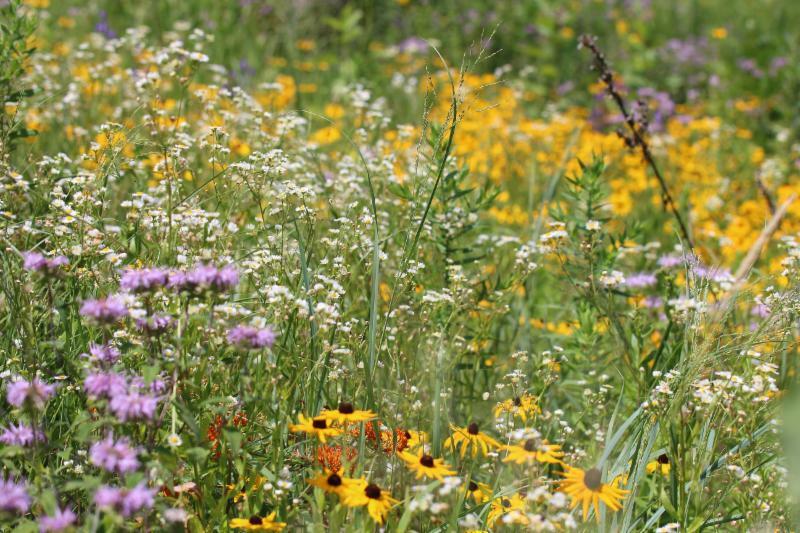 One of our favorite methods to establish a meadow is to create "pockets." These are areas (as large or as small as you can manage) where you plant species that you would like to spread into the rest of the meadow. These pockets can be watered and weeded as necessary the first year to help them along. By not over-managing these mini-gardens within the larger space (example: don't dead-head! ), they will spread their seeds and/or rhizomes over the wider area, and soon you will start to see them establishing themselves elsewhere throughout the meadow. If you are starting a new meadow mostly by seed, you may need to provide supplemental water as well as some weed management in order to give the seedlings more of a fighting chance the first year. Mowing new meadows to about 8-10 inches high a couple of times over the first season after you have seeded the area will allow light to reach your new seedlings, and will keep the larger weeds at bay. 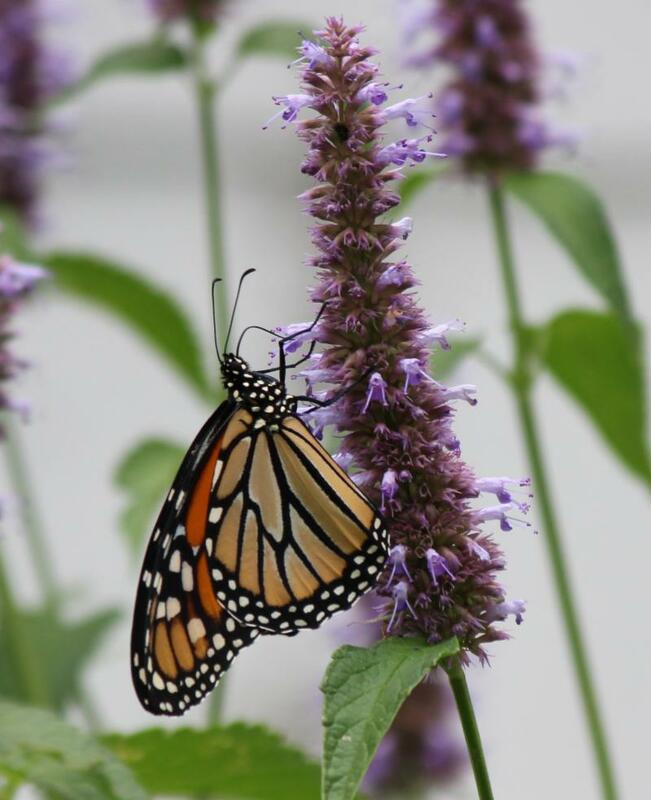 Purple Giant Hyssop (Agastache scrophularifolia) is an absolute butterfly magnet, and makes a gorgeous meadow or garden plant. You can add more species, colors, and textures as time goes by (via adding more pockets or spreading more seed) and you will soon have a beautiful meadow of your own! The balance of species in the meadow will change from year to year, and you will have created a dynamic ecosystem that invites all kinds of wildlife into your garden space.